As the first China-based business school to be triply accredited by EQUIS, AMBA and AACSB, Antai College of Economics and Management (ACEM) of Shanghai Jiao Tong University is one of the best business schools in China which has established global collaborations with more than 80 well-known business schools around the world, and has achieved a worldwide reputation. ACEM has 59 full-time professors and 75 associate professors with strong academic competence and excellent research capability. Currently, Antai College has more than 1200 undergraduate students, 800 graduate students, including 300 Ph.D. students, 1300 MBA students and 780 EMBA students. In recent years, ACEM has launched programs taught in English for non-Chinese spoken students. To date, ACEM has three programs fully delivered in English: Bachelor of Science in Finance, Master of International Business and the International MBA Program. With strong faculty and research background, ACEM offers students cutting-edge courses and seminars. 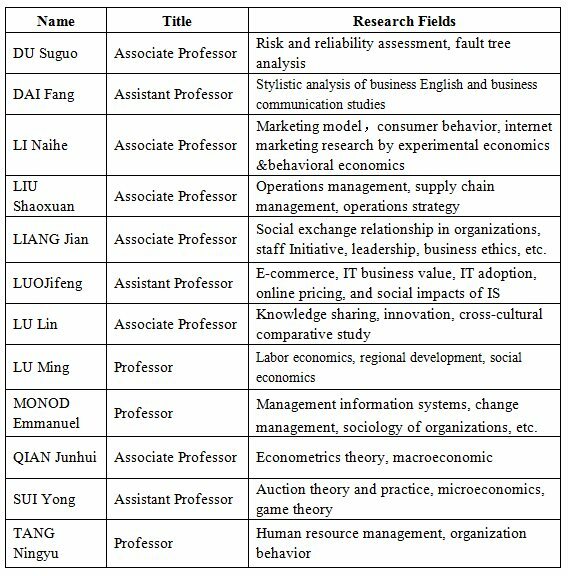 Annually, average published SSCI/SCI papers are more than 100, leading the way of research in management and economics in China. Various seminars are organized frequently, inviting scholars and business elites from top universities and companies in the world. ACEM offers great opportunities for global exposure. Annually, around 150 undergraduate students and 50 graduate students have the chance to go to nearly 70 universities in America, Canada, UK, Germany, etc. for one-semester exchange experience. Meanwhile, over 200 international students representing more than 40 countries come to ACEM as exchange students every year. ACEM established good partnership with different enterprises. Antai graduates continue to attract the attention of recruiters from top enterprises. Our graduates typically become managers in leading multi-nationals, rapidly growing high-tech corporations, private companies, state-owned enterprises, and government departments. They play an active role in accomplishing their career goals, while at the same time creating value for society. 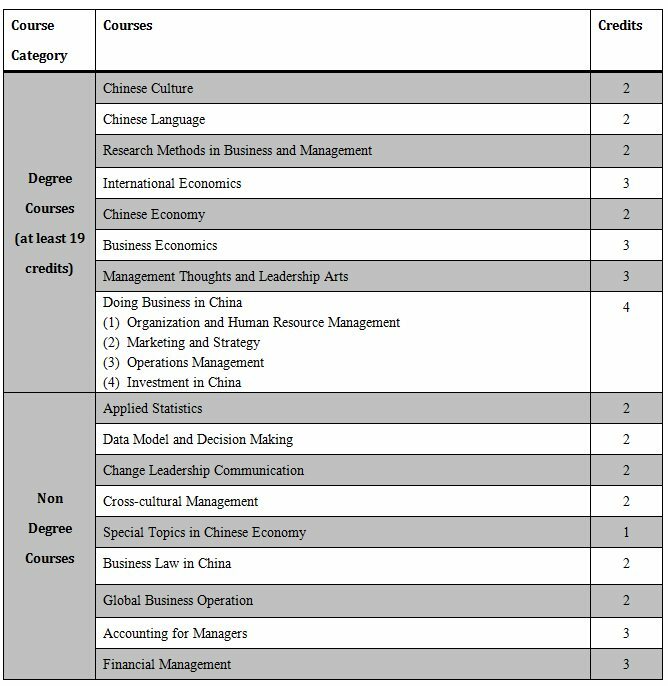 Master of International Business intends to create a community of diverse cultural backgrounds, and aims to foster talented students to have an understanding of global business and a deep insight into China’s dynamic changes of enterprise environment as well as China’s history, culture, law, and policy. The duration of Master of International Business is 2 years. Each student enrolled in the program must successfully complete at least 31 credits of coursework (at least 19 credits for degree courses), and one degree dissertation. The student will be granted a Graduate Certificate in Business Administration (in the field of International Business) and Master’s Degree in Management after acquiring all required credits and passing dissertation defense. Tuition for the entire program is RMB 100,000, and should be paid in two annual installments. The admission bases on the comprehensive evaluation of the application documents, esp. the courses and the scores. Registration is in September. 1. Documents in Item 2 and Item 3 should be original documents or notarized copies in English. 2. The applicants should personally submit or entrust others to submit the application materials directly to Teaching Administration Office, ACEM. You may also apply through mails. The application materials must be sent before the deadline, otherwise the application shall be deemed to be invalid.